When the Charlotte (NC) Chapter began planning how to serve the community through its program theme “Linking Mind, Body and Spirit: Fit for Life”, members knew they wanted to work with a community where they could help to provide comprehensive services to meet the needs of women, children and families. After researching the needs throughout the Charlotte area and working through a strategic planning process, the Chapter embarked upon a long-term partnership to serve the Renaissance West Community, as well as the Renaissance West STEAM Academy – the neighborhood’s elementary school. The Renaissance West Community is an initiative designed to transform people through high-quality mixed-income housing, community wellness initiatives and cradle-to-career educational programs and opportunities. The community is designed to create and sustain a healthy environment, strong families and academic achievement. Our chapter programs seek to create a culture of wellness and empowerment in the Renaissance West community as a contributing solution to generational poverty. 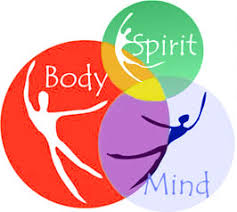 Our theme, Linking Mind, Body and Spirit: Fit for Life, specifies the three components of this program – physical, social, and emotional. Activities have been designed to address healthy eating, balanced living, stress reduction, self-esteem, self and family empowerment and anti-bullying and healthy relationships. We are committed to helping to improve the lives of everyone who lives in the community with an emphasis on our targets, women, ages 20 -45 and children, grades 3-5. We are dedicated to offering the resources, time and energy needed to make a difference. This commitment exemplifies the core principles of The Links, Incorporated and we are proud to be part of a transformative initiative aimed at improving family stability and curtailing the cycle of poverty with a holistic approach. The Charlotte (NC) Chapter has completed and planned several initiatives and activities for the community and school as part of its comprehensive program that focuses on mental, physical and spiritual health.